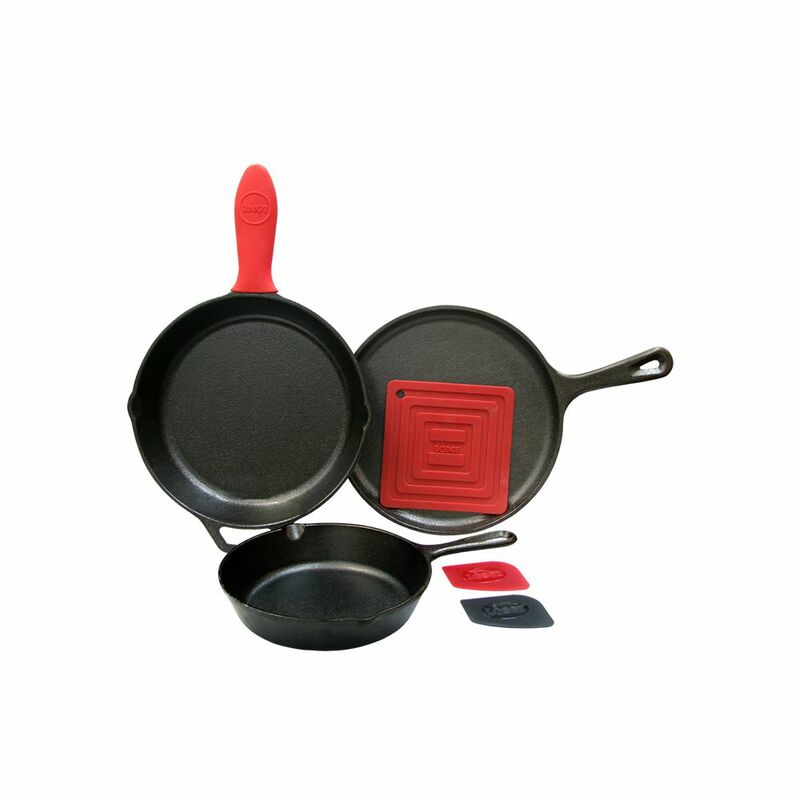 6 Piece Essential Pan Set Seasoned with oil for a natural, easy release finish that improves with use. Essential for the complete kitchen, including a skillet, a grill pan, a griddle, a set of pan scrapers, a silicone pot holder and a silicone hot handle holder. The right tools to sear, sauti, simmer, braise, broil, bake, roast or fry. At home in the oven, on the stove, on the grill or over the campfire. Accessories are dishwasher safe and heat resistant to 4500 F / 2320 C (pot holder up to 2500/1210C). Not for use in oven.